Inside you will find Brooke Davis of Blush Photography, Maia Larkin, Gaia Conceptions, Georgia Blue, The Measure, Maya's Curls, Julie Martin of Artfully Uncommon, Shannon Sewell, Lida Avery, Valeria Spring of Red Balloon Photography, Cris Pansiera, Marjolaine Photography, Laurel Hogge. 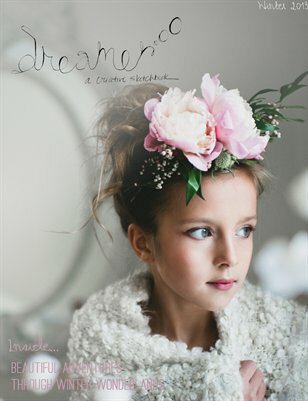 Dreamer Journal is an artist's sketchbook- filled with ideas, colors, art, childhood and whimsy. This magazine was not formatted for printing. Some content may be lost on edges.